Christmas Card Season Is Here! This year I’m making about 100 Christmas cards. Good thing I’m not hampered by a pesky job . . . Mimi calls this time of year Christmas card season, and she’s not far off. It’s the aftermath of crafting! So far I have about 60 cards done, so I’m on my way. You can see one in progress above. Some are simple, some are much more complex; I enjoy doing both types. 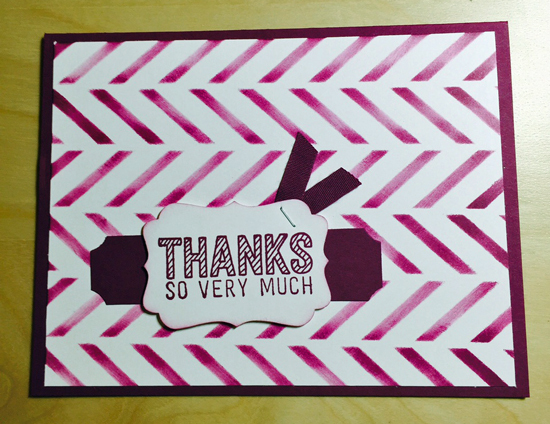 I sell Stampin’ Up products, so that’s what I use most of the time, but if I see an idea that I love, I go for it regardless of the products used. 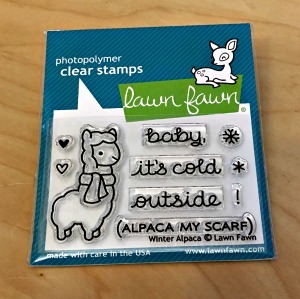 For instance, this stamp set from Lawn Fawn was just delivered, and I can’t even! Alpaca my scarf—I love it when crafting interests collide! I used Malabrigo Worsted for the body and some of the border, and then I ran out of yarn, so I finished with Malabrigo Twist in the same color, and you can’t tell the difference. If I’d have stuck to the pattern, the 210 yards of Worsted would have been fine, but I just had to go and add a repeat (I wanted it to be bigger), so I needed more yarn. I thought I had another ball of Worsted, but no. And there was no more of that color at the yarn shop, so I was resigned to ripping out the extra repeat, but the gal at the shop suggested Twist to finish it off, and the colors were identical. When does that happen?? Love the LYS staff so much. I highly recommend this pattern. 198 Yards of Heaven is by Christy Verity, and it’s fun, easy, and QUICK. Lace with Aran-weight yarn? Sign me up. The winner gets all of that stuff! Including the giant TV. My favorite tree was called Gnome Sweet Gnome, which included a lot of gnomes, naturally, and patio furniture and decorations. Pretty cute. We love that event; it’s so festive and a great kick-off to the holiday season. So there’s a wrap up of my bi-craftual activities and holiday happenings. Are you bi-craftual? Tell me about your interests! This might be my favorite card I’ve created. Ever. I just love it! I used the Picture Perfect stamp set, which is a multi-step set. This means you use several stamps and colors to create a very detailed and beautiful stamp. Usually the stamps are stamped from lightest to darkest, which is what I did here. I had to use my Misti stamping tool to get this lined up perfectly, because my eyes are old and I had trouble doing it cleanly by hand. The Misti is my friend, and I LOVE HER! The tool lets you perfectly place cling stamps so they end up exactly where you want them. Awesome. Now on to the how-to of this card. On a Whisper White layer, I used Pool Party, Lost Lagoon, and Night of Navy for the bird, and Blushing Bride, Calypso Coral, and Real Red for the Roses. The leaves are Garden Green and Mossy Meadow. So, to make this beauty I stamped the first hummingbird stamp (they’re marked 1 -4) in Pool Party. The second stamp is the bird’s neck, and I skipped that one. For stamp 3, I used Lost Lagoon. Stamp 4 was Night of Navy. Then I went in with a Real Red marker and colored the bird’s neck a bit. For the roses, I stamped the first layer in Blushing Bride, the second in Calypso Coral, and the third in Real Red. I really love this color combo! The leaves are Garden Green first, and Mossy Meadow second. The sentiment is from the same stamp set, stamped in Basic Gray. I think it’s so sweet. All of the materials are available in my online store. I hope you’ll try this card. It’s a real winner. 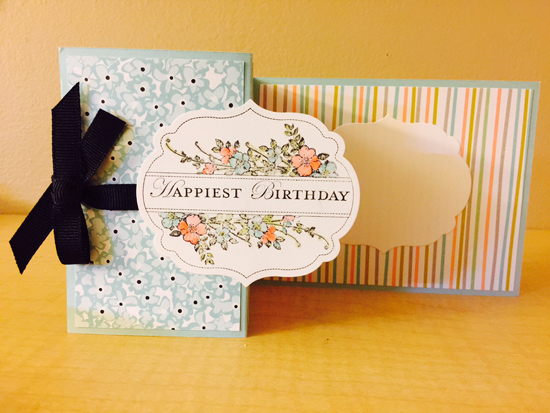 I’ve had so much fun with the super cute Honeycomb Happiness stamp set from the Sale-A-Bration 2016 catalog. For this card, I used a Lost Lagoon card base and a Shimmery White card layer. I used Aqua Painters to watercolor with Daffodil Delight, Watermelon Wonder, and Lost Lagoon reinkers mixed with water. I completely dried the background with my heat gun. To get the droplet marks on the watercolor, I used a Stampin’ Mist sprayer and sprayed the surface once. They I used the Aqua Painter to drop little water droplets on the painted surface. After about 30 seconds, I blotted the surface with a paper towel. Stampin’ Up ink is reactive to water, so the water droplets and spray picked up some of the color, adding more detail to the background. I stamped the little chickie in Tuxedo Black Memento ink. I colored the chick with Copic markers to get a shaded look, and cut it out. (I really wish Stampin’ Up would produce more coordinating dies!) I used the Fine Tip Glue Pen to attach it to the watercolor background. I stamped the sentiment “You’re so Sweet” (from the Honeycomb Happiness set) with Lost Lagoon ink, and attached the watercolor layer to the card base with Fast Fuse adhesive. 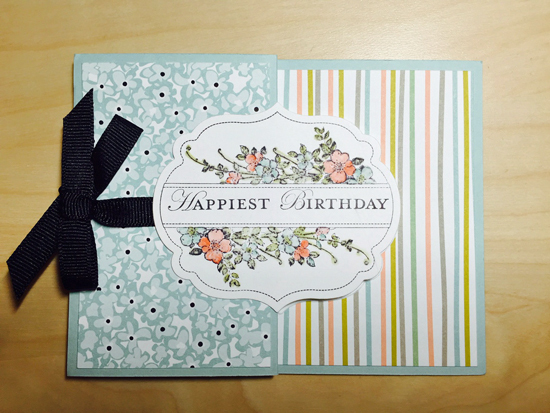 The finishing touch is a Honeycomb Embellishment from the 2016 Occasions Catalog. So darling! All of the supplies are available in my online store!